Sandusky #1 singles player Danny Hale has qualified for this weekend’s state tournament as a result of his play at regionals in Almont last week. Hale, a #2 seed in the top flight bracket, drew a first round bye and scored a 6-2, 7-6 (6) win over Almont to advance to the title match against Grosse Pointe Liggett. He dropped a straight set 6-0,6-0 decision in the finals. 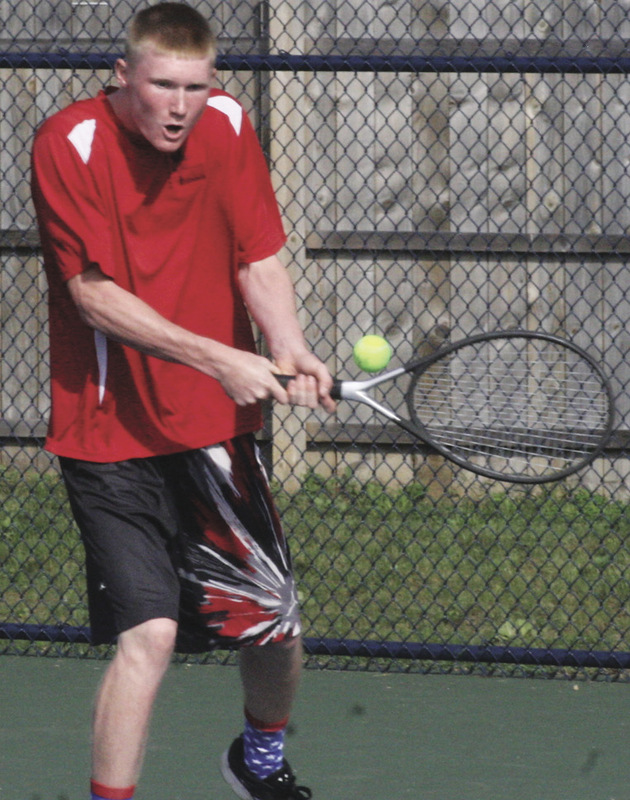 He was the lone Redskin netter to advance to the regional finals. Sandusky finished the tournament tied for third place in the tournament with Almont, with each school garnering eight points. Sandusky’s #2 singles player Josh DeKam won his first round match against Imlay City, cruising to a 6-2, 6-3 win before rolling into the Liggett buzzsaw where he dropped a 6-0, 6-1 score. Senior Caroline Ross crushed her opponent from Clawson in a quarterfinal match by scores of 6-0, 6-0, only to come up on the short end of a 6-0, 6-1 score to Liggett at #3 singles. #4 singles player Jack Norton picked up points for Sandusky with a hard fought 0-6, 6-4, 6-1 win over Flint Powers in the semi finals before stalling out in a 6-0, 6-0 loss to Grosse Pointe. The #2 doubles team of Brady Scribner and Ethan Roggenbuck capped a strong year with a 6-0, 6-0 win over Clawson before suffering the same fate as other teammates did, dropping a semifinal match to Liggett. Sandusky’s #3 doubles team of Justin Stone and Trenton Pardy beat Clawson and lost to Liggett.